During the annual Parade of Lights, Santa will arrive in Downtown Holland escorted by reindeer, bands, floats, trucks, family and friends…all decked out in thousands of sparkling holiday lights! 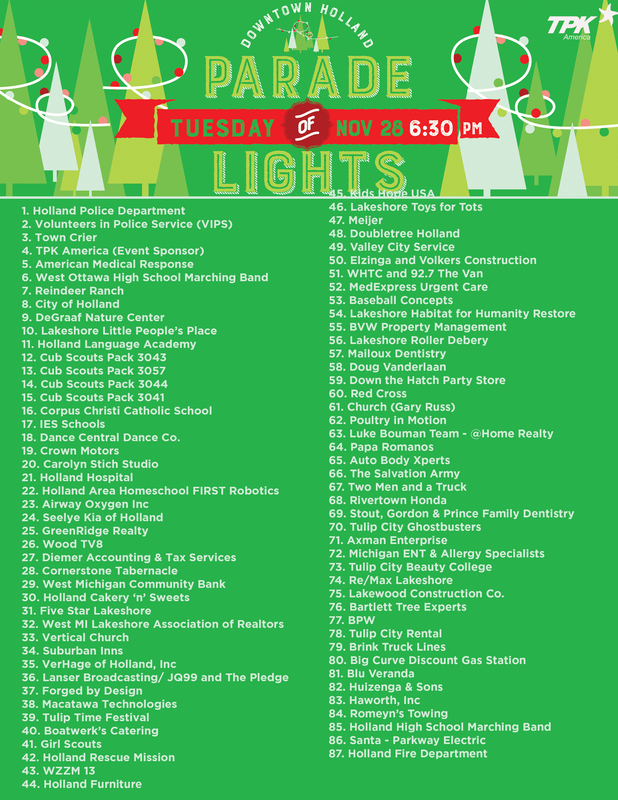 More than 70 entries will illuminate the streets of Downtown Holland during this highly anticipated holiday event. At the end of the Parade, Santa and his reindeer will take the time to greet his fans – young and old alike! Stay tuned for the full parade line-up! The Parade of Lights is proudly sponsored by Downtown Holland’s very own TPK America.